We provide moving services for household appliances and single items like plants and pianos. Professional team of movers. 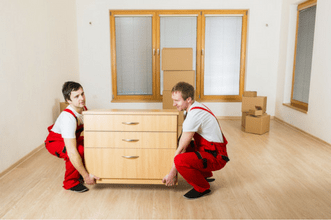 Our movers will come down to do a site survey so that we can provide the most competitive quotation for your home relocation. When it comes to shifting house, the prospect of packing and moving of all your possessions from your current home to the new one can be very daunting and challenging. Not to mention the additional hassle brought on by unpacking all your things afterwards. Why trouble yourself when you can have someone to do all that for you? That is where Rentalorry comes in, our house movers are top-notch and will definitely leave you feeling less stressed about your home relocation. For the full service move, our packers will come to your home and expertly organize, wrap and pack all belongings. Boxes will also be properly labeled. If you require, we can also help with the unpacking of your belongings at your new home. Partial packs are catered to single room or entire home moves where we will help you to transport your items and help with a little packing and moving. For single items or smaller items that can be move easily, the one way transport is one of our cheapest and most popular services. Household appliances that we commonly transport include refrigerators and washing machines. In addition, our movers and packers are also experienced in transporting household furniture like beds, tables, chairs, wardrobes and plants. Relocation, when not done correctly can become a very stressful experience. Items go missing, precious possessions are damaged and even the costs can balloon out of proportion. We always try our best to make our customers’ moving experience a joyful one. In addition, we can also follow these tips that we have gathered from our years of experience helping thousands of customers. Cost – Getting multiple quotations will ensure that you get a rough estimate of how much it cost for a professional to move the items that you have listed. Always ensure that everything is stated properly in the invoice so that you do not have any unexpected costs. Reviews – Going for the cheapest option my not always be the best choice. Check out the company’s Facebook reviews to find out what customers think of their services and whether they can deliver on their promises. Worried about moving delicate items? Fret not. All fragile articles such as vases, mirrors and glass furniture will be wrapped in protective film and bubble wrap to ensure that they reach the destination undamaged and intact. Special attention will also be given to antiques as well as jewelry. Such items will be handled by our staff with utmost care. All our trucks come with a safe, reliable and professional driver to tend to all your transport needs. Shifting house can be a confusing process for some people, especially first timers. Luckily all our staff here at Rentalorry are very knowledgeable and have a wealth of experience in the moving business. They are also friendly, so do feel free to consult them should you have any queries. We may not be the cheapest house movers in Singapore, but we definitely offer moving services at very good rates. While providing competitive rates, we still ensure that we take the time and effort to properly wrap your furniture and belongings so that they can be transported safely to your destination.